Infrastructure, Hypervisor and Cloud Control Reliability, comparing the Virtual Machines (VM) and virtual network with infrastructure resources management. 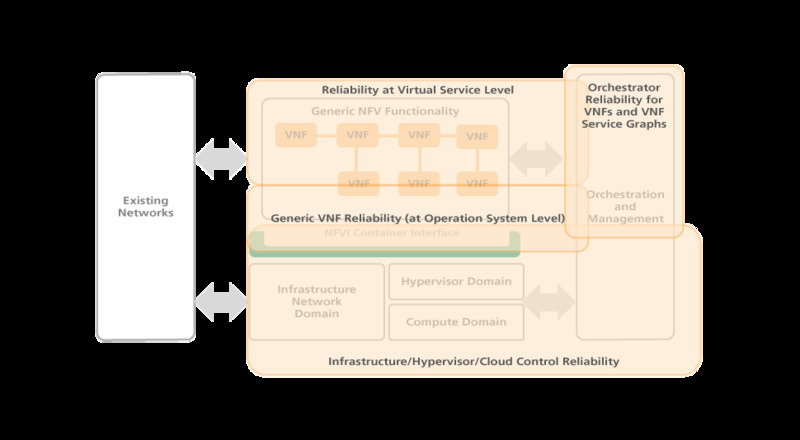 Orchestrator Reliability, for fault recovery and root cause analysis generic to the VNFs. High availability operations, like distribution of state information and immediate reaction to faults. Support for proxy nodes in edge cloud processing and with intermittent backhaul.